If you’ve got—or are thinking of getting—access to an inexpensive 3D printer such as the ones from MakerBot and PrintrBot, there will come a time (soon!) when you’ll graduate from printing other peoples’ designs. There’s no doubt that you can have plenty of fun downloading and printing designs from Thingiverse, but sooner or later, the urge to design will take over. Whether you use a web-based modeler optimized for 3D printing (such as TinkerCAD) or a professional CAD tool, designing for 3D printing demands expertise in everything from structural engineering to material science. You need know the limits of your medium, whether you’re using a $25,000 Z Corp printer, a $2,000 MakerBot, or a $500 PrintrBot. 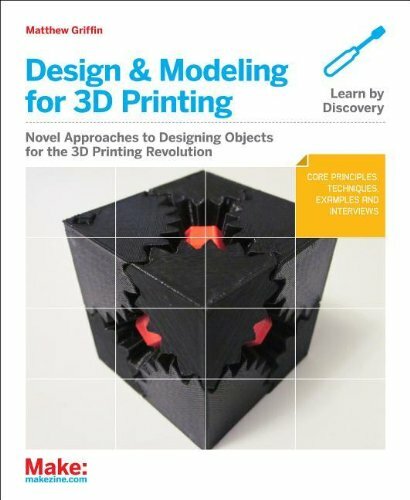 This book uses practical examples and interviews with leading makers to teach you the core principles and techniques you need to take on the challenges in design for 3D printing. This book arms those of you entering this passionate, fast-moving field with the problem-solving concepts needed to design and print almost anything you can imagine.